Normally I don’t give the cases much thought except from the packaging and presentation perspective. However, the case that Lamy designed for the Lamy Lx is unique and it’s actually usable as a pen case. As I mentioned in my review, the case is made of anodized aluminum and black rubber. 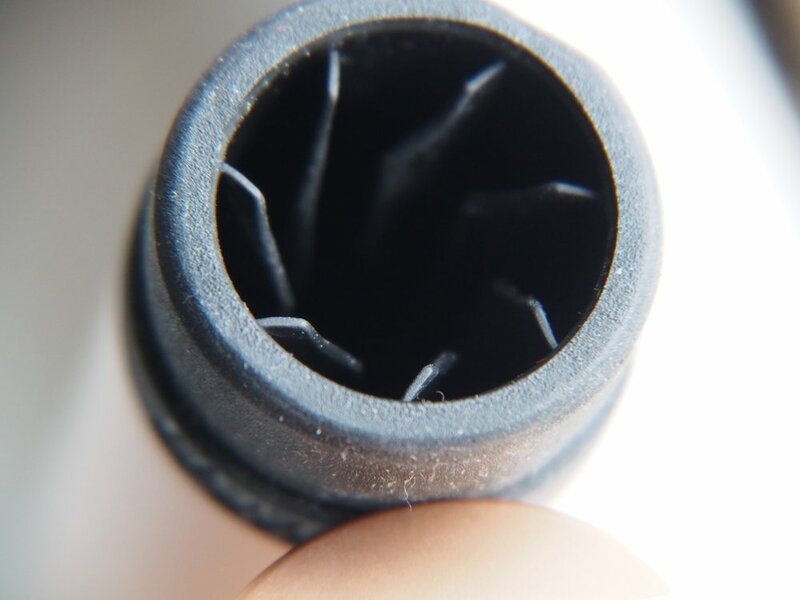 The rubber that separates the cap of the case from the body is etched with the Lamy logo. The rubber section also serves to hold the cap of the case firmly in place. Uncapping the case, reveals the Lamy Lx wedged firmly in place. The pen is not going wiggle around or move unless you intentionally remove the pen. There was a lot of clever design oin the rubber section. 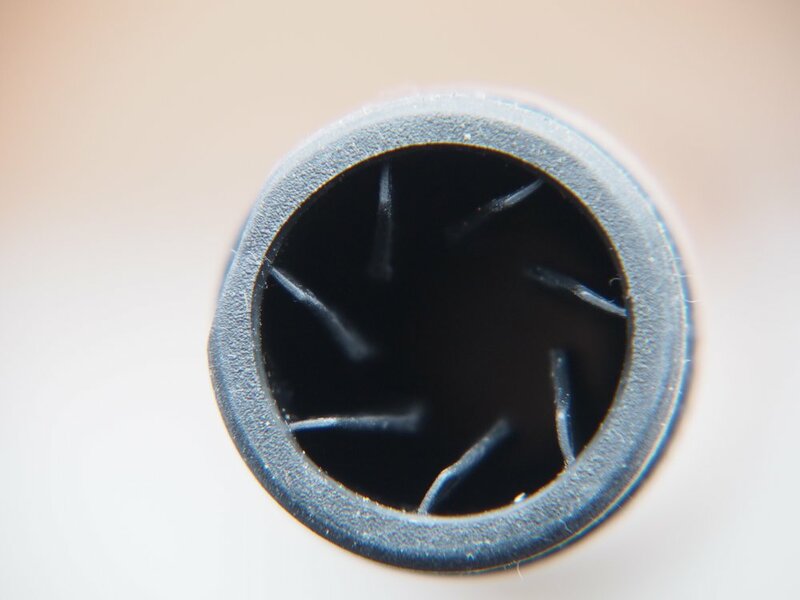 Lining the inside of the rubber are a series of spiralling rubber fins. It’s the fins that ensure the pen is held firmly in place. I took the Lamy Lx in it’s case for a weekend trip and it performed fine. The case did not appear any worse for wear. Mind you, it was a short trip and I kept the pen case in a small section within my carry bag for the most part. It’s quite possible that a drop would dent or scratch the case. But I think that the pen itself would still be safe in those situations. The only down side to the case is that it is quite bulky from a volume perspective for carrying one pen. It’s otherwise quite light. So, if you have the space available and really want to protect one pen, I think it would be quite serviceable. It would also be quite stylish and unique. I also gave some thought to how else the case could be used. It’s actually very handy to hold pens in place for eye-dropper filling.